Kathryn O’Sullivan is a playwright and mystery writer. Her novel Foal Play won the 2012 Malice Domestic Best First Traditional Mystery Novel Competition.Murder on the Hoof is the second book in the Colleen McCabe mystery series set in the Outer Banks of North Carolina. Neighing with Fire, the third book in the series, will be published in 2015 by Minotaur Books. 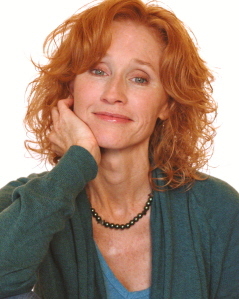 She is the recipient of the Mary Marlin Fisher Playwriting Award, an American Association of University Women Educational Foundation playwriting grant, a Shubert Fellowship, a Maryland State Arts Council Individual Artist Award in Playwriting, a President’s Sabbatical Award, and Faculty of the Year Award (twice) from Northern Virginia Community College where she is a theatre professor. Her plays have been seen at the American Globe Theatre, The Kennedy Center for the Performing Arts, The Source Theatre, The Theatre Lab, Flashpoint’s Mead Theatre Lab, and at play and film festivals across the country. She has collaborated with Paul Awad on a dozen projects. Her play “Moving Day” will be published in “The Best Ten-Minute Plays 2014″ by Smith & Kraus, Inc. She is a member of The Dramatists Guild, Mystery Writers of America, Sisters in Crime, and Romance Writers of America and earned her MFA from Carnegie Mellon University’s School of Drama. For more information, visit her website at www.kathrynosullivan.com.